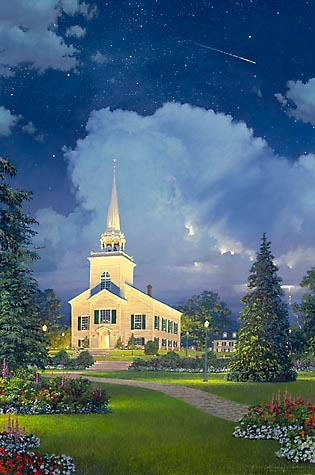 Throughout history man has built places of prayer and worship, from the great cathedrals of Europe to the quaint churches of Phillips Bay and the village of Cotswold Hills. From here, the highest point in Dogwood County, the bells tolls over the rural countryside and rises heavenward, proclaiming the good news of a loving God. But, no matter how grand or unique the works of man, they pale in comparison to the evidence of the great creation. Evidence we witness every day if we take the time to notice – for all creation sings God’s praise and truly the heavens proclaim His glory.